Protect Yourself Online and Open up the Internet - find the right VPN for you with our comparison chart. 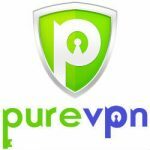 A VPN (Virtual Private Network) can be an essential tool for going online today - protecting you from hackers and scammers, and letting you into parts of the internet that you would otherwise be blocked off from. We’ve tested the most popular VPNs on the market to let you know which ones you should sign up for. Click any of the links below to start with a VPN today for just a few dollars. Our VPN recommendations are built on thorough, independent test results. 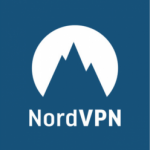 In order to help you choose the best VPN service, we put each of the main brands through a series of rigorous tests and assessments. First up, we test how simple it is to get started with each VPN – everything from creating a new account to adding the apps and plugins you need to get going with the VPN. Some VPNs require a degree of technical knowledge, even when doing something as simple as choosing a server to connect to. This is little good for a beginner who just wants to get started without fuss. Our ease of use assessments help you choose a VPN that won’t confuse things with dense settings and obscure controls. We also judge the all-important privacy control offered by each VPN. Brands that log online activities are penalised in our tests, while the ones that put you in control of your own data are rewarded. We do leak tests and kill-switch tests to ensure that the VPNs don’t inadvertently fail to protect your privacy. Let’s not forget about speed, either – we test VPN speeds over local and long-distance connections, helping you choose a VPN that keeps things pacey while connected. Finally, we judge value for money – for a quality VPN, there’s usually a small monthly fee, and our recommendations will help you choose a brand that’s money well spent. Disclaimer: The links on this page will take you directly to a provider or retail website, where you may find deals and discounts. If you make a purchase at this stage, we may receive a payment. This has absolutely no additional cost to you, and will never affect the editorial independence of our reviews.